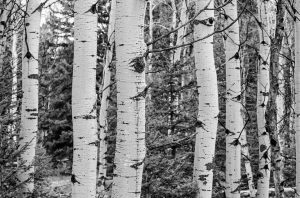 When planning out a survival garden, it’s important to think about the kinds of trees you want on your property and how they can come in handy when SHTF. Certain trees can provide food, fuel, shelter, and even medicine for you and your family during an emergency. And even if you don’t intend to grow your own orchard, it’s still beneficial to know how the identify these trees in case you ever have to bug out in the wilderness. Having your own apply tree will give you access to a resource which can be eaten, stored, traded, or even processed into cider. One thing to note when planning your survival garden is that most apple varieties do not pollinate themselves. Plant at least two different varieties near each other so that bees can cross-pollinate them. Not every apple tree can grow in every environment. But when planted in the right location with suitable conditions, your apple tree could start bearing fruit in as little as two years. The white birch has a distinct papery bark that works great as fire-starting tinder. In fact, white birch bark can even light when damp. Additionally, the white birch produces a drinkable sap that does not require purification before consumption. Close spaced locust trees are naturally thorny and can create a great protective barrier for your property. The honey locust also yields edible pods that contain legume pulp. In the past, Native American people would dry this pulp and use it as a natural sweetener. Once the plant is established, it is considered drought tolerant, and the lumber produced by the honey locust is durable and rot-resistant. Oak trees produce an abundance of acorns which can be consumed by humans or used as bait to trap small game. Before eating any acorns, you’ll want to extract the tannic acid by boiling or leaching them. This acid is what gives acorns their bitter taste and can also be used at an anti-bacterial agent. Oak is a hard wood and can be used to craft other survival tools like digging sticks or spear handles. 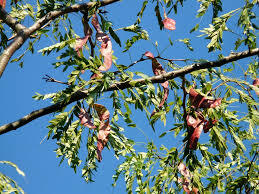 Similar to the honey locust, the American plum trees work as both a physical deterrent to keep people away from your property and a reliable food source. 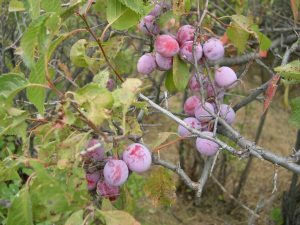 The fruit from plum trees can be used to make juice, jams, and even wine. Cedar wood is great for making furniture and cooking food. Cedar is both a soft wood and a stable wood, which means is isn’t prone to expansion or cracking. This combination makes cedar wood very easy to work with which explains why cedar has been used to craft everything from shingles to musical instruments. 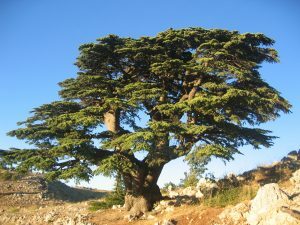 Cedar bark can also be made into a tea that is used by some to treat the flu and the common cold. 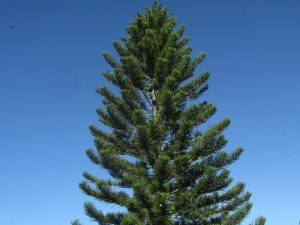 Pine trees grow fast which makes them a perfect tree to use for firewood and other purposes. Pine trees secret resin as a form of defense. This sap can be harvested and applied to treat wounds, stop bleeding, and a number of other survival uses. 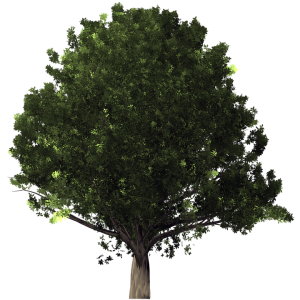 Do some research to discover which trees will grow best in your area. 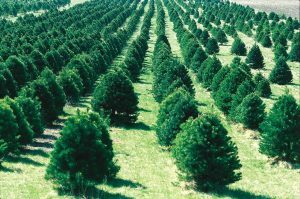 Even if you cant grow every tree on this list, even having one or two in your survival garden can make a difference when SHTF. Note: While trees can provide shade and shelter, there are times when you need a little more protection from the elements. In an emergency, you can always use two trees as the anchor points for a tube tent. This entry was posted in DIY Projects, Family Survival, Homesteading Tips and tagged DIY, DIY Survival, food on March 31, 2017 by Survival Frog.